The Taylorville Park Board District met in regular session on Monday night. 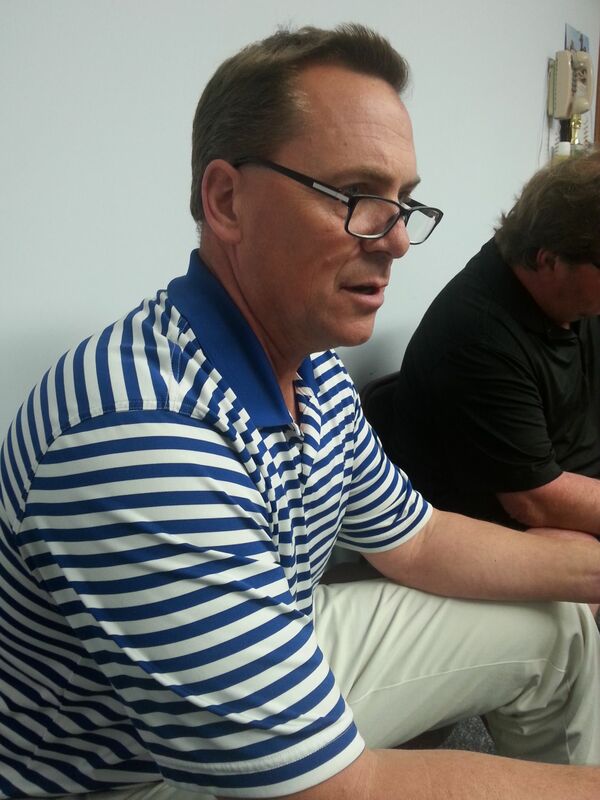 The Board heard from Jeff Boldig, who provided a report of the Lake Shore Golf Course. Boldig stated there were 24,000 total rounds last year, which matched the 2014 total. Boldig reported they have been able to get some tee boxes built, yet there is still some work to be done. He noted Alan Jackson, Superintendent of the Lake Department, has pitched in by giving them free materials for building the tee boxes. Boldig mentioned they are upgrading their websites, as they are going paperless by having an automated tee sheet via iPads. He also mentioned through the system, he can log in to monitor the golf courses up to the minute. Boldig commented the dust is an issue in the parking lot at Lake Shore. He stated they have contacted two oil and chip companies to see if oil and chipping can be done there to help curb the dust. He also mentioned they are thinking about an area to expand near the number one tee putting green, to generate more room for cart staging. The Park Board approved to pay for the kitchen lift pump and elevator repair at a total of some $2,400. Boldig addressed the Board that the contract extension will expire in September 2017. Park Board President, Marlane Miller, stated they will start working this summer on the contract extension. Boldig also stated they are off to a good start this year, and have received good feedback from golfers and the public. 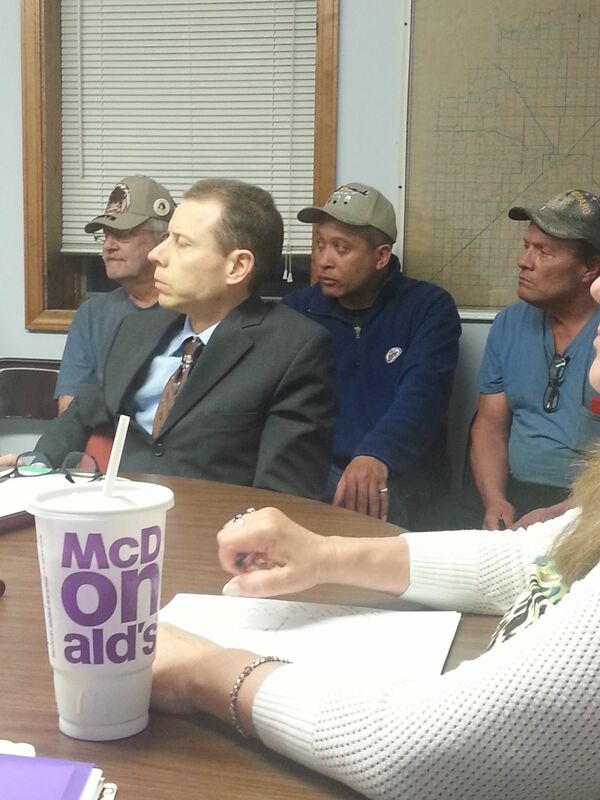 In other Taylorville Park Board District action, they heard from the committee of the Taylorville Black Horse Pow Wow. Their President, Fred Dubay, stated the fair board has raised the price of having the event and would like to have the Pow Wow at one of the city parks this year. Dubay noted it is a three day event during the first weekend of June with drummers and fancy dancers. Vice President, Thomas Threefeathers, stated admission is free, but the vendors are charged a $75 fee to sell their merchandise of Native American crafts, while it’s higher in other places. Dubay mentioned one of the big expenses is bringing drummers in which could cost $1000-1500. After much discussion regarding security and the event, the Park Board decided to table the motion to discuss it further by having a special meeting on April 11 at 9:30 a.m. in the Park District Office. Marlane Miller, President of the Taylorville Park Board District, told Regional Radio News they used to have the Pow Wow at the park during the early 2000’s, before going out to the Christian County Fairgrounds. Following public guests, the Park Board went into new business and approved the thirty day notice for public inspection to file the Fiscal Year Budget for 2016/2017. In other Taylorville Park Board action, Maintenance Superintendent Gary Brown stated the Caretaker House is down and are still cleaning some concrete up. He also noted they are working on the ball diamonds and the pool. He also noted they are currently installing playground equipment at the Don Bragg Sports Complex. Secretary/Bookkeeper MaryAnn Becker, noted their contract with Direct Energy was to expire this year. Becker noted they have reached a 36 month agreement that will go until September 2019. Becker further stated an arrest was made as a minor vandalized a fountain at the park earlier this month. Recreation Director Bailey Hancock reported Sunday’s Easter Egg Hunt had a good turnout. She noted that ten new lifeguards have been hired, along with nine returning. She also stated that seven were hired to be part of the Day Camp staff. She also noted the University of Illinois Extension will be holding their Conservation Day on April 21 in the morning at the park, as third and fourth grade students will be attending. The Board did not go into executive session and approved the payment of bills. The meeting adjourned at 8:06 p.m.